Advanced Nuclear Consultants helps many of our clients expand their current business by designing and building the infrastructure to support additional imaging equipment. No matter if it’s your first system or fifth, for a large hospital or small imaging center, ANC has the expertise to turn unused or unprofitable space into a beautifully designed and functional layout that will support your new imaging system. Our team will design a layout of your new imaging suite that will fit your needs as well as meet the OEM design criteria of your new system. 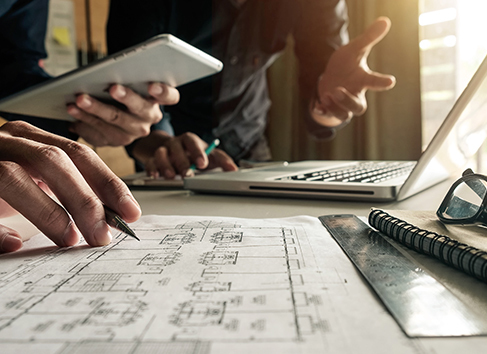 From the architectural and engineering drawings to the detailed millwork of your new suite, ANC will see to it that every item is designed and constructed to optimize this new arm of your business. You will have a beautifully detailed imaging suite built with first-class materials by a team that knows the intricacies needed to conceal and protect the operational side of your unit. To finish, our team will then install your new imaging system. A seamless fit that is all guaranteed to meet or exceed performance expectations.